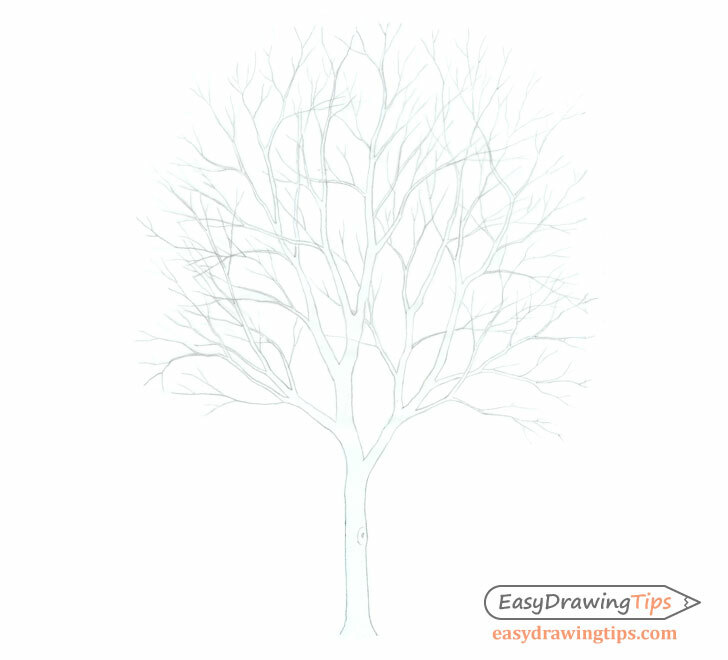 This simple tutorial explains how to draw a tree in four steps. The examples are of a tree without leaves where all of the small branches are visible. 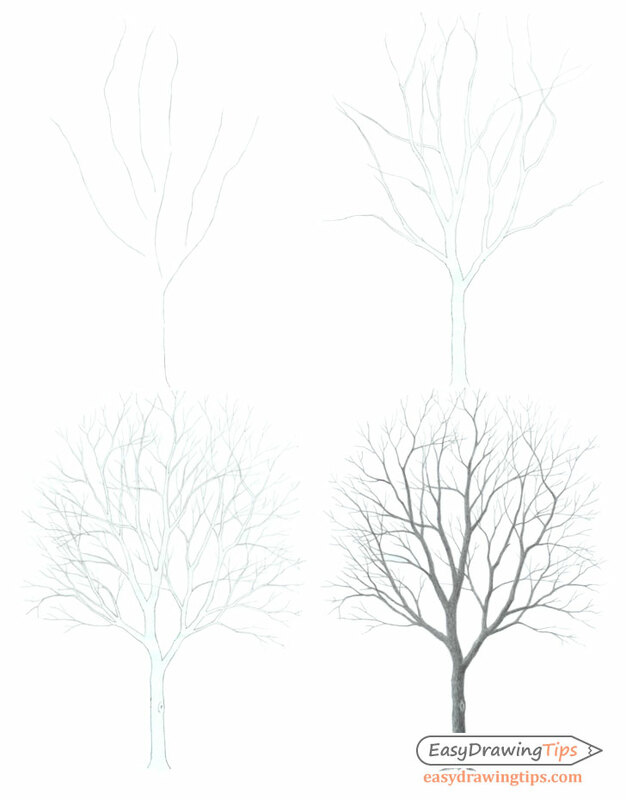 A tree like the one in this tutorial is not very complicated to draw but can take some patience in order to go over all of it’s small branches. To start the tree drawing you can simply make a few lines to indicate the general directions of it’s trunk and some of it’s larger branches. 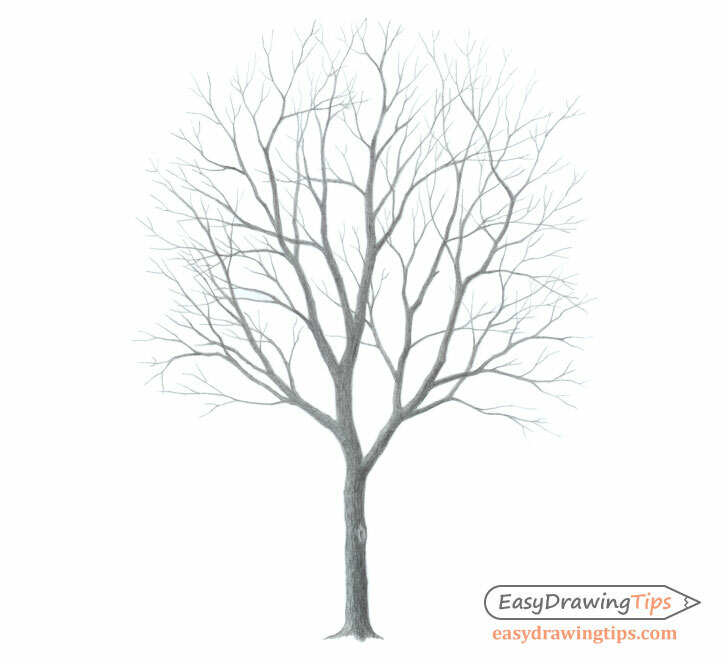 Now draw out the actual shapes of the trunk and larger branches of the tree. Generally the trunk and branches get progressively thinner as they go towards the top so be sure to keep this in mind when drawing. 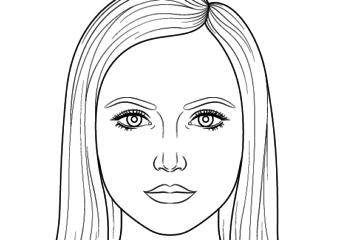 You also want to add some bumps and fairly sharp twists here and there to make the branches look more natural. 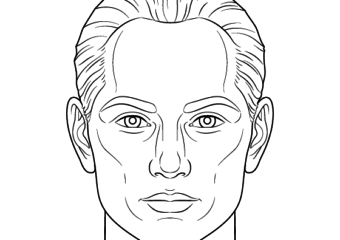 Add the smaller branches to finish the line drawing. You will need to add quite a few small branches for the tree to look natural. If you are making a fairly small drawing like the one in this example you can draw the smallest branches with just one line each which can make things a little faster and easier. 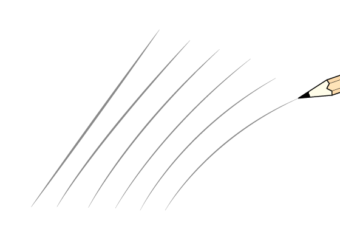 Also note that while they do curve in slightly different directions overall the small branches tend to sort of “fan out” around the tree so draw accordingly. Finally you can shade in the tree to make it look a little bit more realistic. For this example we will apply some very basic shading making the tree slightly darker on the right side to show that the light is coming from the upper left of the drawing. You can add a bit of a gradient for the larger branches and the trunk. 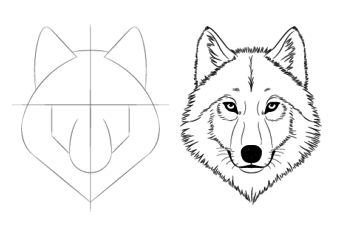 For the smaller branches simply try and shade them slightly lighter on the left side of the drawing and darker on the right. Once you are done with the shading you should have a finished drawing of a tree.